A newspaper is on the kitchen table, displaying pictures of the four suicide bombers’ impenetrable eyes – or maybe it just seems that way to me. For the first time, I look properly and deeply at the picture of Mohammed Sidique Khan, the one responsible for the death of my daughter. I am full of loathing. I feel no compassion for him. Did Jenny look into those eyes, I wonder, in the instant of her death or seconds before? The mere thought of it is intolerable and I thrust the paper to one side. People say that it’s the not-knowing which is the worst time, the waiting. I don’t feel that to be true. In the not-knowing, there is hope and in the waiting there is possibility. 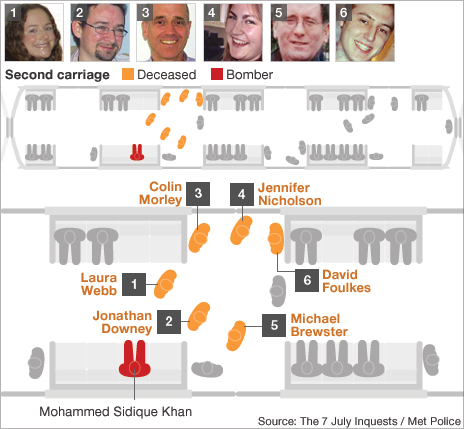 This – reality, facts, confirmation that Jenny has been identified through dental records – is worse: all the hope and possibility we nurtured and cherished in the five days after the 7/7 bombings disappeared yesterday. Numbness is creeping through me. I curl up on my sister’s sofa at her house in Reading, where I’ve been staying ever since I started searching for my daughter. My eyes fix on the doorway, and over and over I think I see Jenny walk through, kick off her shoes and smile. This is not comforting; it’s a longing. I want to see my daughter’s body. I know this is something I must do, yet the police seem reluctant and slightly embarrassed. I sense that pressure has been put on our two family liaison officers to dissuade me from going straight to the mortuary in London. Who is looking after Jenny? Who is honouring her, taking care of her? Nobody has answers, only advice: better that I wait until she can be moved to an undertaker’s in Reading – where she has a house with her partner, James. I acquiesce, even though I have to live with the realisation that I’m abandoning my child to bureaucracy because I didn’t insist hard enough or long enough for an alternative. Then the police call to ask if I’d like a priest with me when I go to see her. They’re clearly concerned about the impact her injuries will have on me. But I know I’ll be OK, and that this is something I want to do on my own for my daughter, and for myself. In this one thing I feel strong, empowered, as if Jenny were drawing me to her, compelling me to attend to certain things. I feel I must see for myself and touch for myself; I must care for her in death. In the simplest mother-and-child ritual, I want to tuck Jenny into bed and prepare her for sleep. I believe with all my heart that this is what she would want from me. I’m going to anoint her body. In religious terms, anointing is a symbol of the indwelling of the Holy Spirit, but more importantly for me it’s a ritual which transcends words. It reflects the intimacy of mother and child, the intimacy of loving, human touch. The image I now carry in my heart is the Pieta: the image of a suffering mother who’s had her heart pierced. It’s an image of a mother having her child’s body restored to her when everyone else is done with it: broken, damaged and with all the life gone from it. At the moment, I feel it’s all that faith has to offer me. The little phial of oil I’ll be using, loaned by a local priest, is in a large Georgian silver container. There was some mirth among my family when it was delivered to the house in a Tesco carrier bag. When I arrive at the undertaker’s, Pauline, one of our police family liaison officers, is waiting. She leads the way down a dimly-lit corridor. Nothing has prepared me for entering the room and seeing the coffin. No imagining or past experience. It is stark and shocking. For a while all I can do is stand and stare, too full of fear to move forward. Pauline has taken my hand and guided me over to where I’m now standing, looking down at my daughter’s body shrouded mostly in muslin. ‘You can hold her hand,’ Pauline is saying gently. My hand is warm and shaking and Jenny’s is cold and still. It isn’t enough. I want to lift her body out, hold her in my arms and breathe life into her. I make do with leaning over and kissing every finger, examining them as I did when she was born. Her nails are flush with the end of her fingers. I can only anoint Jenny’s hand and place my hand under hers, looking for a moment at both our hands resting together on the cover. Then I dip the middle finger of my other hand into the oil and prepare to anoint with the sign of the Cross. ‘I can’t remember the words!’ I cry out in panic. Pauline is standing back in the corner of the room. And so I proceed with anointing my daughter’s body. The words continue, not liturgically correct but from the depths of my being, and tears flow and merge with the oil on Jenny’s lifeless lovely hand until there are no more words, only tears and sobs, from a mother standing over her daughter’s coffin and a police officer in the far corner of the room. I believe it was for this moment that I was ordained a priest. I know I must phone my husband Greg and our children Lizzie and Thomas, but I think I must be a little bit in shock. I’m finding it difficult to talk and can’t stop shaking. In the sitting room, I curl up on the sofa in the foetus position, cradling a tight little bundle of Jenny’s T-shirts. I feel so full of my daughter and so empty of anything else. I zip the suitcase shut but then change my mind and open it up again. Closed, the case is too much like a coffin. These are strange thoughts and fancies, and I’m very glad of my six-year-old nephew William’s appearance in the doorway. There’s a question in his voice. ‘How big was the bomb? Do you think it was this big?’ William is forming his hands to the size and shape of a football. ‘Or was it this big?’ He’s now stretching his arms around and in front of him as though he’s holding a large beach ball. 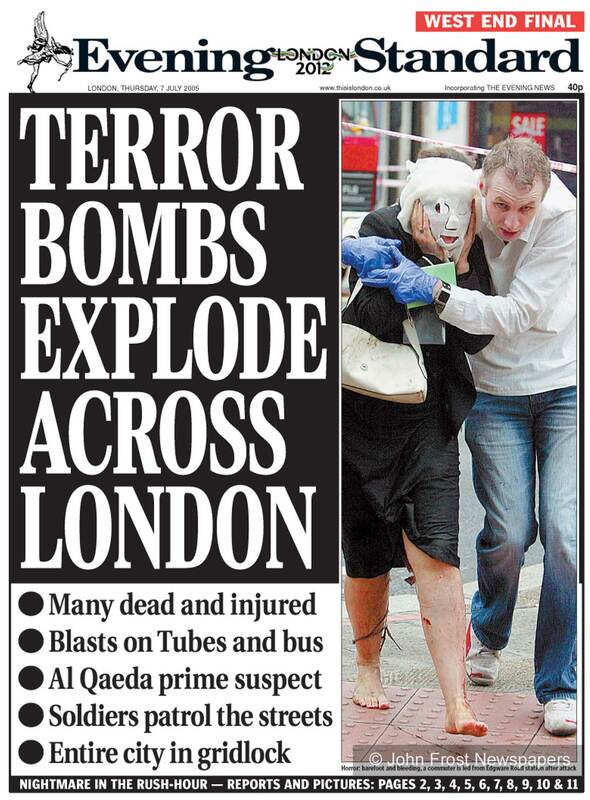 I tell him it probably wasn’t that big because the bomber carried it in his backpack. 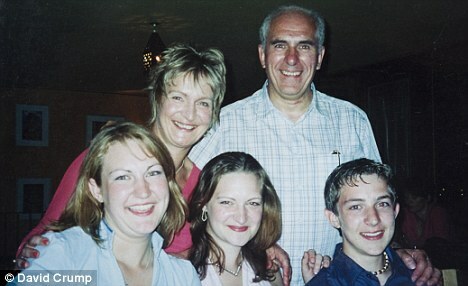 It’s now ten days since Jenny was killed. As I take a cup of coffee to my 17-year-old son Thomas, it dawns on me I’ve hardly spent any time with him. At the kitchen table, my 22-year-old daughter Lizzie has been looking at some of the newspaper reports and is becoming very upset. ‘How dare they put a picture of these murdering bastards next to a picture of my sister,’ she says. She’s picked up a pen and is scribbling over the page, wielding the instrument with ferocity until the four faces are covered in blue ink and the paper torn. If God is holding Jenny in his hands now, why wasn’t he holding her in his hands when she died? Why didn’t he keep her safe? Every card is kindly meant, I know that. Even so, I don’t believe anything is that simple. The notion of God holding Jenny in his hands, when only yesterday I looked upon her lifeless and mutilated body, is anathema. The next morning, I go round to see Jenny’s partner, James, at the house they shared. He makes me a cup of tea, his actions slow and robotic. Even though his height and physical presence dominate their small kitchen, it’s as if some part of him is far away. Grief has come too early to James. It shows its bleakness in his hunched shoulders. Jenny’s death is the death of their future together. It is the death of possibility – of their children, grandchildren, their hopes and dreams. I feel stirrings of rage against the destructive force which has annihilated such beauty and potential. I feel the rage rising, perfectly in tune with the steam forcing its way from the kettle. ‘Go and look through Jen’s things if you’d like to,’ he says. Unsure, feeling slightly as though I’m intruding, I climb the short flight of stairs to the small landing at the top. There, I stand at the window gazing out at the houses opposite, wondering if the neighbours have any clue about the miser y unleashed within these walls. You’d never know, standing out there in the quiet and empty street, that the face at the window of number 77 is the mother of a dead child; or that the man downstairs washing mugs in the sink is the distraught lover of a young woman recently blown up by a terrorist bomb. From the outside, this dear home looks the same as any other in the terrace. It’s a facade. The heartache is politely hidden. No one need know. I have to turn away from the window before I start screaming. The bedroom is full of Jenny. Tentatively, I touch a blue turquoise scarf. Even before I lift it to my face, I know it will smell of Jenny’s perfume. I inhale into its folds deeply as if the scarf is an oxygen mask, breathing in Jenny and the scent of J’adore and breathing out memories. I suspect one of the last things Jenny did before leaving this room on her last morning was to squirt a jet of perfume on to each side of her neck before kissing James goodbye and setting off for work. If only she’d decided to stay home for the day. If only she’d overslept, if only something had delayed her, if only I’d chosen that moment to call, if only she’d missed her train, if only she’d got to the end of the road and realised she’d left her purse behind. If only I could have kept her safe and if only a certain dark stranger whose name I will not utter in this room had never been born. Back at Vanda’s house, I speak to my husband on the phone. When I say ‘I’m arranging for Jenny’s body to be brought back to Bristol,’ Greg appears unable to speak. He’s trying not to break down. Now neither of us can speak, both fighting back tears and keeping the floodgates firmly sealed. I cannot bear my husband’s pain. In a matter of days, we’ve almost become strangers. In Greg’s grief, he cannot bear to look at pictures of Jenny; in my grief, I want to be surrounded by them. Our relationship has been troubled for some time. In our hearts, we both know our marriage is over. 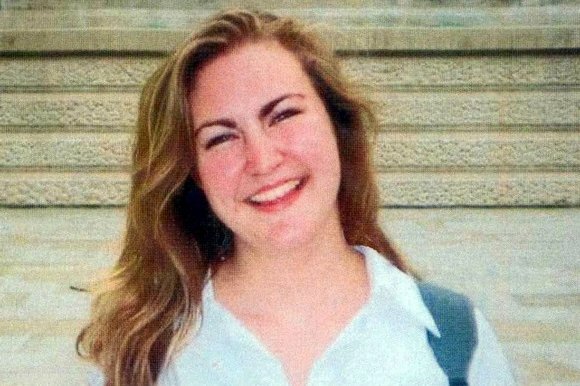 But there’s no time, no emotional space to deal with more than our daughter’s death. The issues that are before us – marriage, relationship, separation – are for the future. Now is for Jenny. I want to run and run and run, but there’s nowhere to go. I want someone to put their arms around me and tell me everything’s going to be all right. I want my beautiful daughter not to be dead. I want to tear my hair from my head and dig my nails into my flesh. The next day, we’re visited by our family liaison officers, Pauline and Colin. 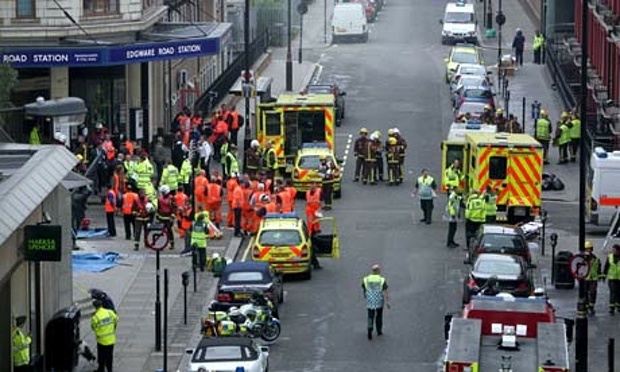 They tell us the police are arranging to meet victims’ families at the Royal Horticultural Halls in London on Sunday for a current appraisal and briefing. After that, we can visit Edgware Road Tube station if we wish. 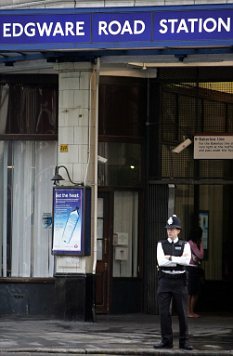 The briefing takes place 17 days after the bombings. We’re shown into a vast space packed with people sitting at round tables covered with starched white tablecloths. At the centre of each are flowers in a mix of soft summer colours. The room is arrayed like a wedding reception. I can see a girl in a metal brace. Was she injured in the explosions, I wonder? I’m surprised that survivors may be here as well as families of those killed, and equally surprised at how disturbed I am by this. I find I can listen to the people on the podium and take notes quite impassively, as I might at a business meeting. Detached, I note how many calls the Casualty Bureau took on the day of the bombings – 43,000 – and how calls were prime time and cost 40p per minute. The time of each explosion is given. 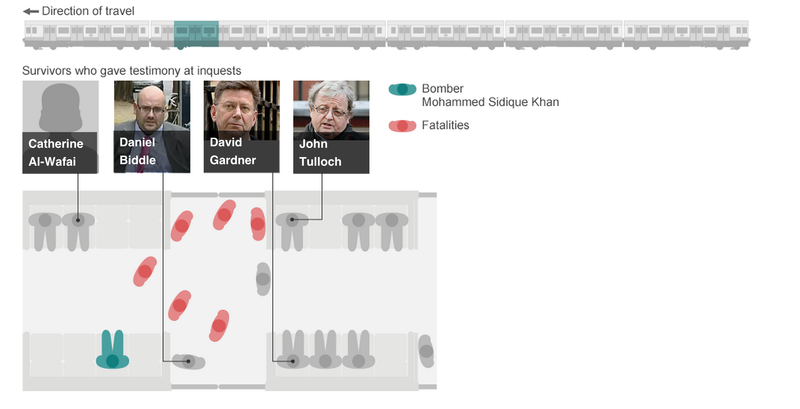 I add this information to the page even though the time of the Edgware Road bomb is etched on my mind: 08.50. It’s the demarcation time between life and death. With the speaker’s voice fading in and out of my consciousness, I see Jenny looking up from her book, taking in the people around her and checking the time on her watch, a slight look of anxiety on her face as she realises she’ll be late for work. Then I see an image of a startled face with terrified eyes as Jenny is blown backwards out of the carriage, still clutching the book. I’ve no idea if this is how it happened; in the absence of detail I add my own. I hope, as I hope every hour of every day, that there was no time for her to be terrified. I still have so many questions — but now we’re being told we shouldn’t ask anything relating to our particular situation. Hackles are already starting to rise, mine included. Some of the survivors have complaints. It’s not helpful, bundling us all together in this way: I can’t bear this feeling of wanting to stand and scream that they should just be glad to be alive. A man near the front is on his feet. ‘Please stop referring to this as an event or incident,’ he tells the people on the podium. This sparks collective applause and foot-stamping. Now I’m on my feet, my black-sleeved arm in the air. As it happens, it is not so much a question, more an outpouring of feeling. ‘I have no doubt the intention of today was pure, and I can only speak for myself, but it feels like a PR exercise. You say this is not a day for specific questions; well, I only have specific questions,’ I say. In my embarrassment I hardly register a response, if indeed there is one. Lunch is announced. Then there’s a girl in front of us. She’s falling against the table and words are spilling out in a rush; she’s saying over and over: ‘I’m sorry, I’m sorry, I’m so sorry I’m here and your daughter is not’. I don’t know who she is. The girl puts her head on my shoulder and I try to comfort her: an instinctive gesture. It seems she was in the same carriage as Jenny. Even as I offer comfort, I want to cry out: ‘I’m sorry, too. Why must I hold someone else’s child when the only child I want to hold is my own?’ Even as I say ‘It’s all right; it’s all right,’ I know it’s not. Nothing here is all right, not the tall angular limbs or the bony shoulder blades beneath my hands or the antiseptic smell of shampoo or the hair which is dark where it should be fair and short where it should be long. 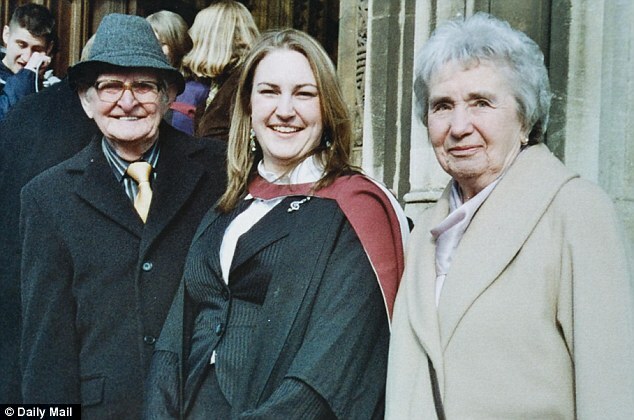 There’s none of the soft warmth and ebullience so familiar in Jenny’s embrace, no daughter curves moulding into mine, no familiar smell that I have known for 24 years and clung on to in a rolled-up bundle of clothes for the past two weeks. Repulsion is rising in my gut: why can’t someone come and take this girl away? Yet I can’t abandon her. So as she leans against me, her body trembling, I stroke this stranger’s back and feel the warmth of her body, and I think of my own daughter lying in a coffin without warmth and without her mother. My heart goes out to the survivor as I watch her walk slowly back across the room, shaking and head bowed. I didn’t even ask her name. I never want to feel again as I have felt in these past few minutes, sorry that someone else is alive when Jenny is not. Colin drives us to Edgware Road, where we have to get out and walk because the Tube station is cordoned off. With determination, I prepare to move towards Jenny’s place of death, side-by-side with her beloved James. that reaches right into my bones. Where would Jenny have been standing? Would she have been waiting on the platform as the train pulled in or would she have come running down the steps and jumped into the nearest carriage? By leaning forward, we can peer into the grey dustiness of the tunnel. There isn’t much to see, only grime and cables and brick walls. Yet this place holds Jenny’s last breath, her final moments. I have a strong impulse to go inside the tunnel, as if by doing so I can somehow reach her — but it’s no surprise to learn the answer is ‘no’, because of health and safety. Then, as I stand here, looking into the darkness, the shadowy face of a stranger intrudes. Did Mohammed Sidique Khan have a wife? Wouldn’t she have had at least some idea of what was being planned? Who is this stranger who came into our lives and didn’t care about those he was killing? Jenny’s life, which was lived in beauty, has ended in cruel disregard and violation. I’m consumed with more anger than I believed I could ever feel. 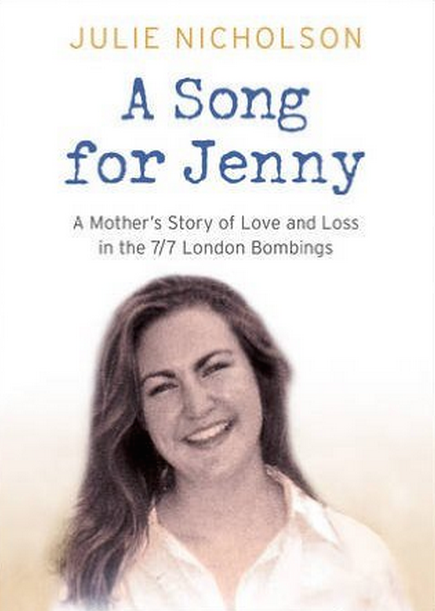 Extracted from A Song For Jenny: A Mother’s Story Of Love And Loss by Julie Nicholson, to be published by HarperCollins on June 24 2011 at £14.99. © 2010, Julie Nicholson. To order a copy for £13.99 (p&p free), call 0845 155 0720.